The torture of Kamwenge town council mayor Goeffrey Byamukama has got President Yoweri Museveni worked up. Byamukama was tortured by some police officers and detained at Nalufenya police facility on suspicion that he knew about the plot to kill deputy Inspector General of Police Andrew Felix Kaweesi, who was murdered in March. Museveni has castigated the security officers who use torture as a method of interrogation, arguing that the method is “traditional” and “defective’’. Last week, Ugandans and the rest of the world were shocked at the pictures of Byamukama with threatening body injuries confined in a Kampala upscale private hospital. And, yesterday, Museveni wrote to the heads of security agencies, including police, military and intelligence, advising them against torture. “The use of torture is unnecessary and wrong and must not be used again if it was being used as I see some groups claiming in the media,” Museveni said in the letter. Museveni’s reasoning, which conforms with that of many human rights defenders, is that torture, apart from being a violation of rights of the suspects it can make one admit to having committed crime even when they did not in order to save themselves from pain. The President advised the security agencies to employ scientific methods of investigations and interrogation. 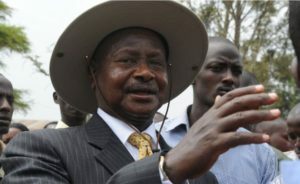 “Even if the suspects do not admit their guilt, if the investigators do their work well (using finger-prints, photographs, DNA tests, eyewitnesses, other scientific methods, and dogs ), the criminals can get convicted,” Museveni says. Following the brutal assassination of Muslim clerics, the murder of state attorney Joan Kagezi, a former prosecutor in the office of Directorate of Public Prosecution, Maj Muhamed Kiggundu and Uganda Police’s then second-most high profile officer Kaweesi, the Ugandan security agencies, especially the police, have been under pressure to arrest the people behind these crimes. This has seen dozens of suspects arrested over the last few months, but most of the suspects of recent accuse police of torture.